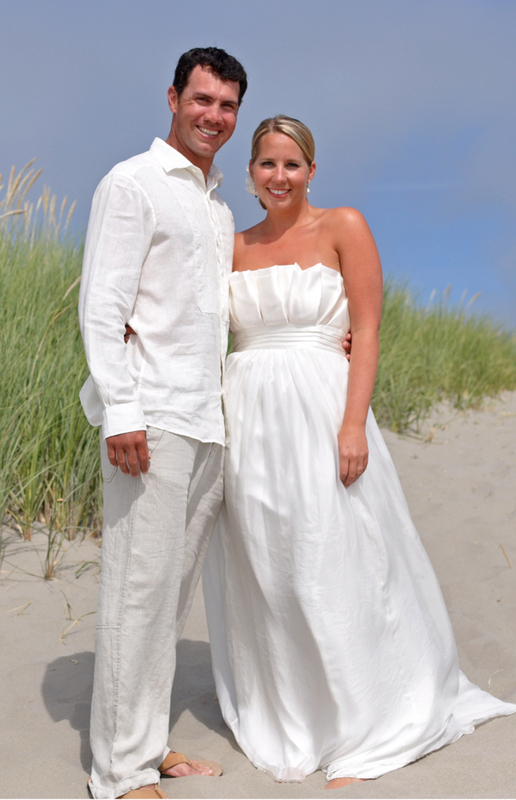 On Saturday, July 4th, Kristi and Todd Bramble tied the knot in Gearhart, Oregon in a truly extaordinary, beautiful, laid-back wedding. These two are very relaxed and easygoing individuals and those are the exact feelings that were felt by everyone around them on Saturday. If there is a word for the opposite of a bridezilla, that is the word we would use to describe Kristi - she did not have a worry in the world on Saturday and cared most that their friends and family enjoyed themselves, which is exactly what everyone did. Steve and I can't wait to get through the couple thousand photos that he took througout the day and look forward to sharing them with you. For this being Steve's first wedding shoot, he did an outstanding job. Be sure to check back later for additional photos. And thank you for allowing us to be a part of your special day. Oh my goodness they are beautiful, the couple and the photos! GORGEOUS!! From the sneak peak it looks like Steve did an outstanding job capturing their special day! Congrats Bramble's! Ahhh! So pretty! I am so in love with that top picture, perfectly captured! WOW! I got chills looking at that first one! Perfection! Great job Steve! They are a darling couple and Kristi's dress is stunning! What a fun weekend, can't wait to see more! Beautiful! I can't wait to see the rest! WOW, amazing photos already. I can't wait to see more! Congrats to Kristi and Todd again!!! GORGEOUS!!! Love them so much, so perfectly shot! Beautiful! Can't wait to see the rest.